Andrea L. Biondo D.M.D. is a native of Andover, MA. 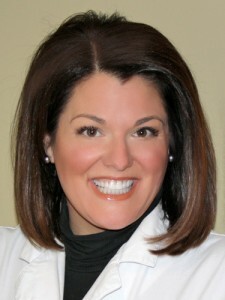 She received her Bachelor of Arts degree with honors from Saint Anselm College and her Doctorate of Dental Medicine with honors from Tufts University School of Dental Medicine. Dr. Biondo also participated in a Clinical Honors Externship Program at the Tufts satellite clinic at Middlesex during her fourth year at Tufts. Prior to creating and opening the Biondo and Foley Dental Group in 2004, Dr. Biondo previously practiced family and cosmetic dentistry in Lowell, Billerica and Andover, MA. Currently, she is a member of the Massachusetts Dental Society, American Dental Association, Merrimack Valley Dental Society and the Middlesex Regional Dental Society. She regularly attends continuing education courses around the United States to maintain her commitment and passion to always stay up to date on all of the latest technology and techniques. She is also certified yearly in CPR with AED usage, first aid, infection control, pain management and OSHA standards as certified by the state of Massachusetts. Dr. Biondo resides in Andover with her husband Charles Enman, and their three young sons; John, Thomas and Matthew. Most of Dr. Biondo’s free time is spent either volunteering at the boys’ school or cheering for her boys field-side, court-side or diamond-side…whatever the sport season may be! They all love being outdoors, travelling and they especially love spending their time together on Cape Cod.